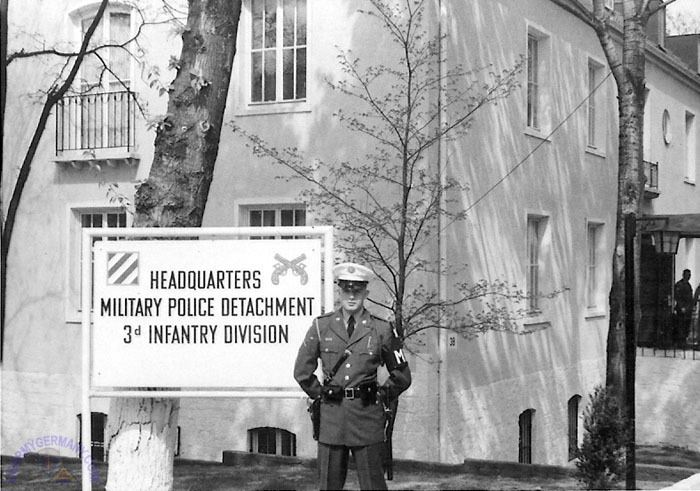 Bob Hinkle in front of the 3rd MP Detachment Headquarters building on Leighton Barracks. 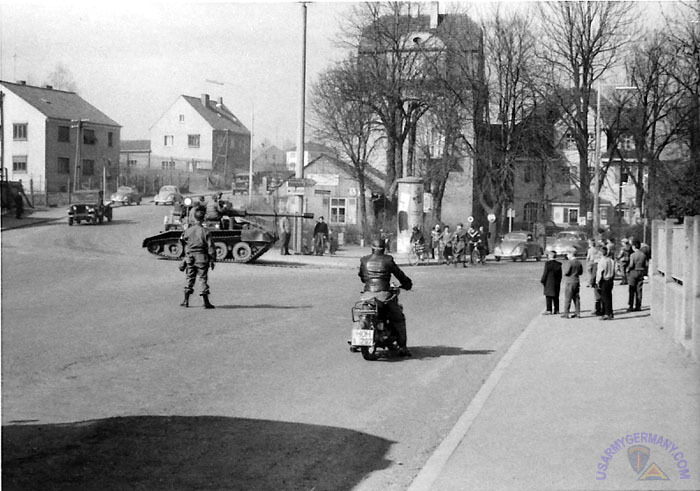 A member of 3rd MP Det mans a traffic control point in a German town during a training exercise. 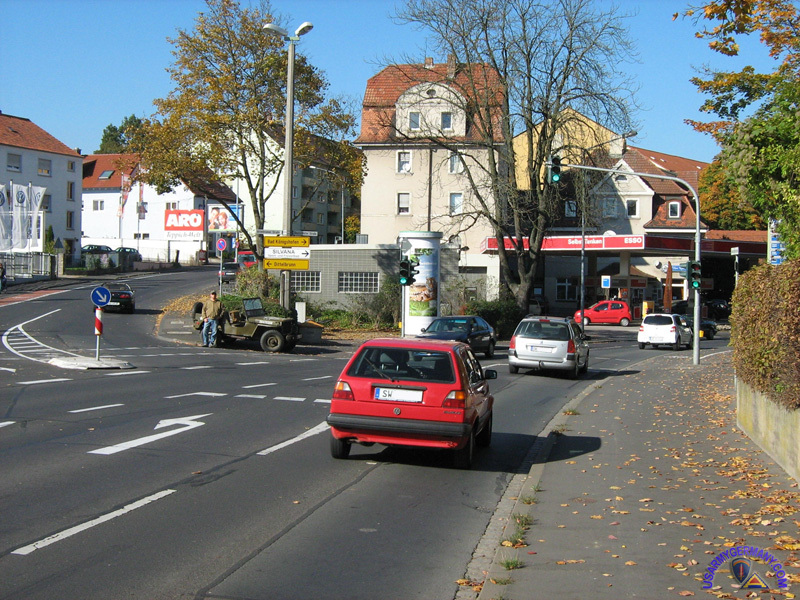 The location of the photo above (#2) has been identified by Ralf Kraus as the intersection Dittelbrunner Strasse and Deutschhöfer Strasse in Schweinfurt.